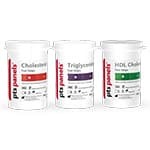 The lower-cost CardioChek ST (Portable Blood Test System) analyzer & any of 3 single-panel test strips to test total cholesterol, HDL, triglycerides is perfect for the home user. LDL can be calculated by hand. Separate drops of blood are required for each single-panel test strips. 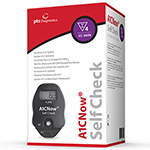 Self monitor total cholesterol, triglycerides, HDL, and glucose. Measure various blood components from a small sample size. 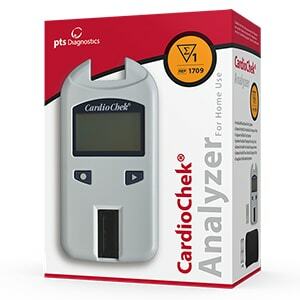 The CardioChek for Home Use is an alternative to the BioScanner.